SOFT Cyclone Flexi Paddles FOR cyclone Tippmann A-5 X7 98 cyclone systems. 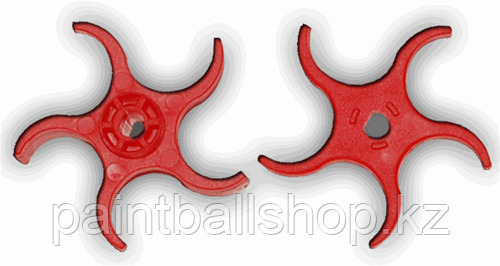 soft Cyclone Flexi Paddles are made for those who demand the best for their Tippmann Paintball Marker. The Flexi Paddles are the paddles made that include the Exclusive Interlocking Design to help lock the top and bottom paddles together to help prevent them from becoming out of alignment. This is a must have when dealing with a softer paddle.